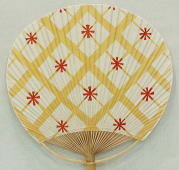 as a living national treasure in 1956. Keisuke Serizawa learned a lot about the method of BINGATA and stencil hand-dying in Okinawa. 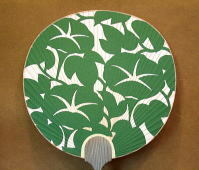 Afterwards, he perfected the real essence of designing stencil patterns. 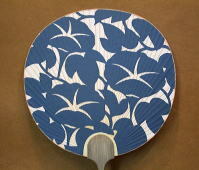 There are no cut corners or poor quality in his works. 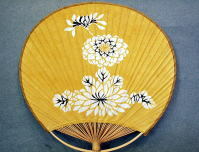 Though he always strove for the best work, he nevertheless hated extremely exaggerated work. 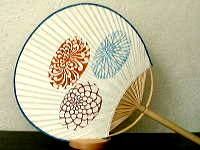 He put emphasis on the ordinary. 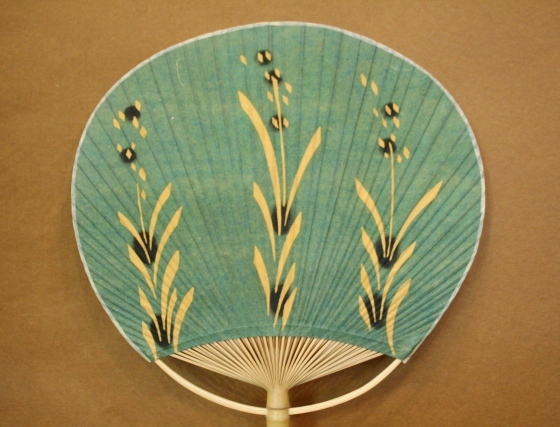 This is the greatest characteristic in his view of beauty and is the reason why he was one of the great leaders of the Mingei movement. 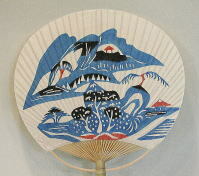 Keisuke Serizawa died in 1984. 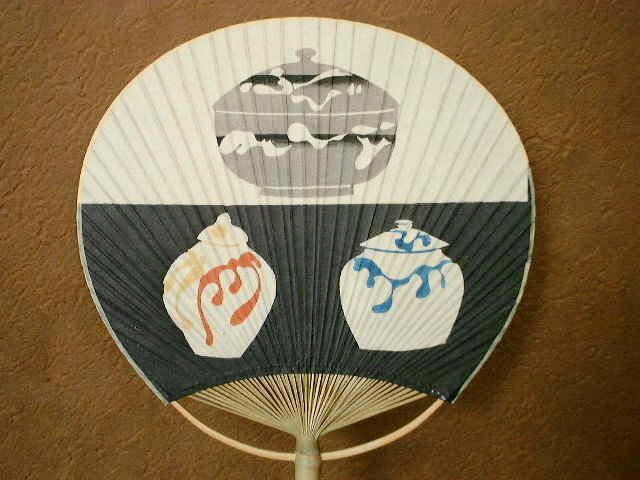 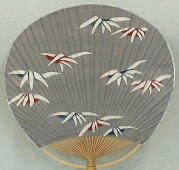 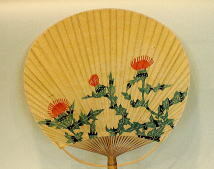 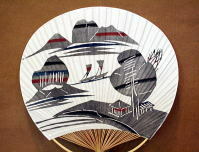 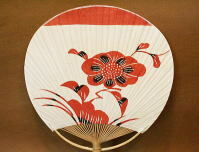 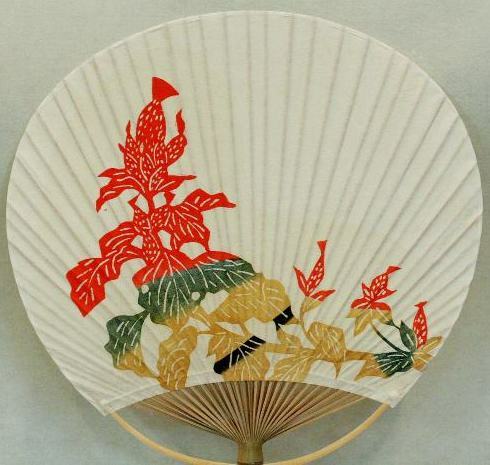 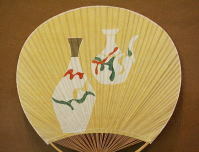 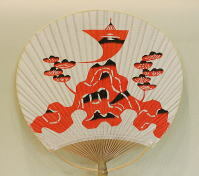 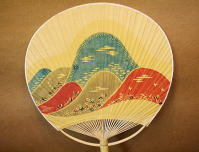 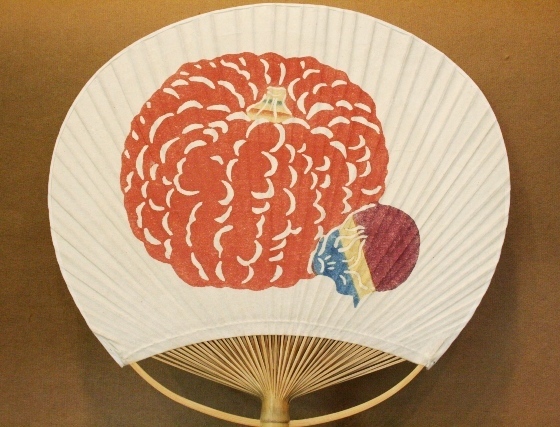 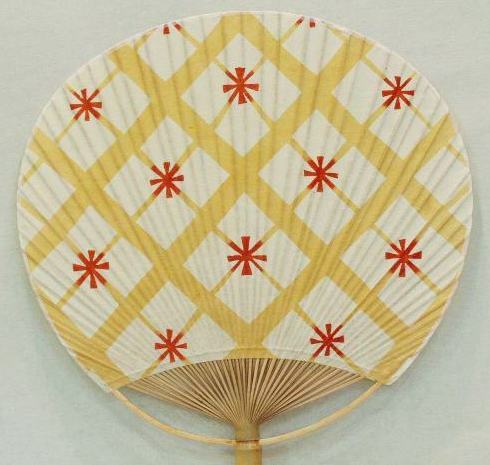 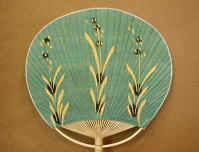 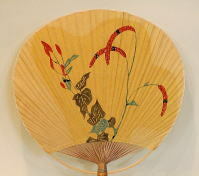 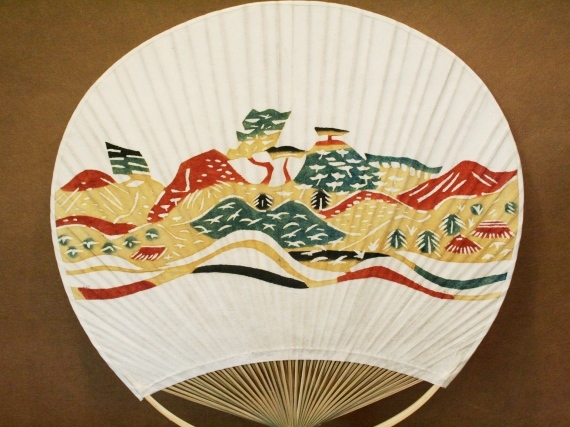 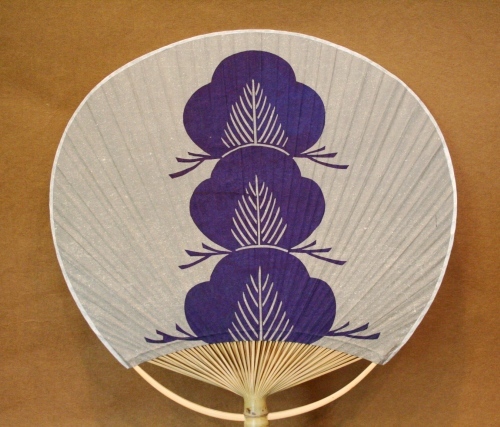 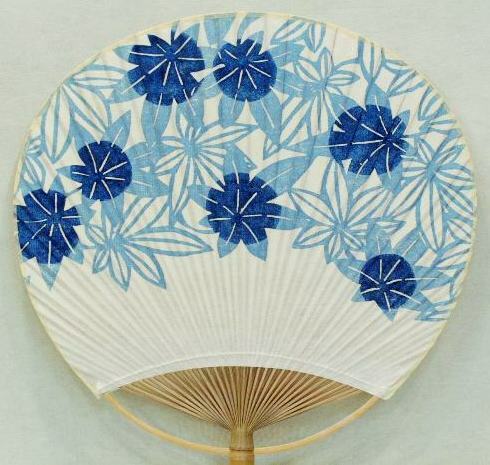 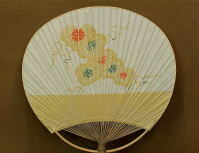 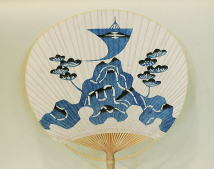 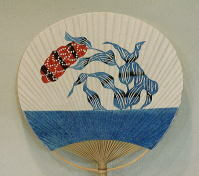 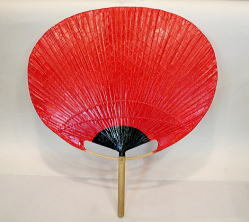 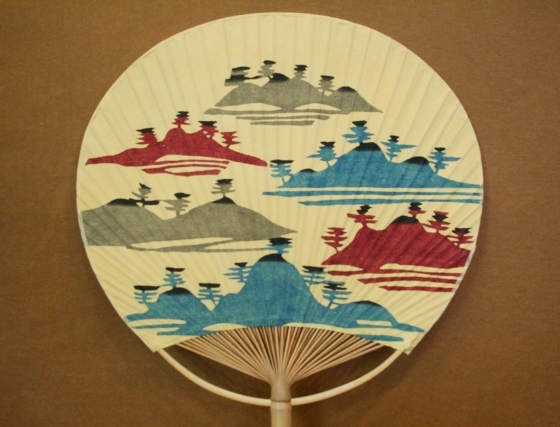 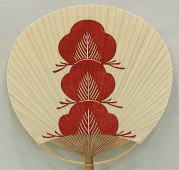 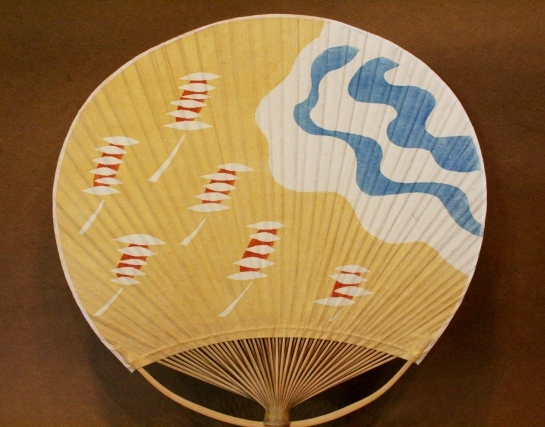 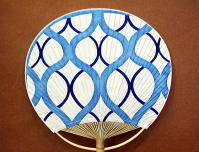 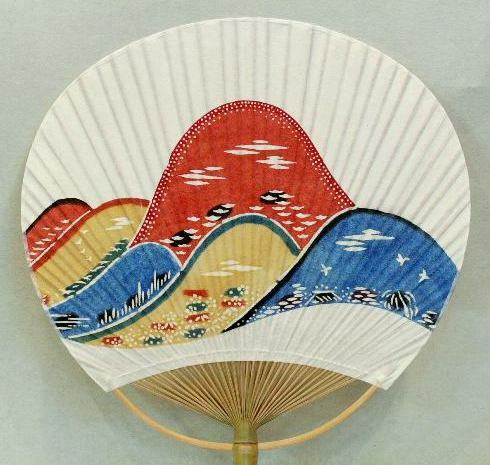 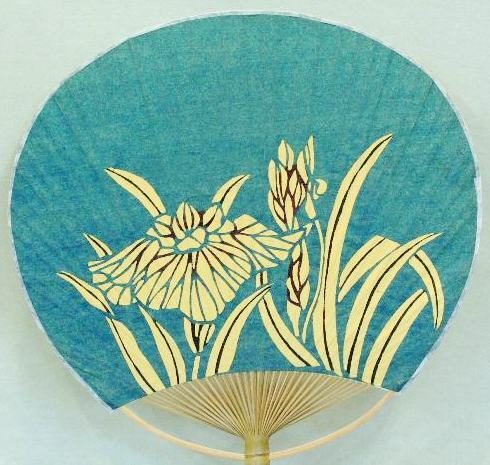 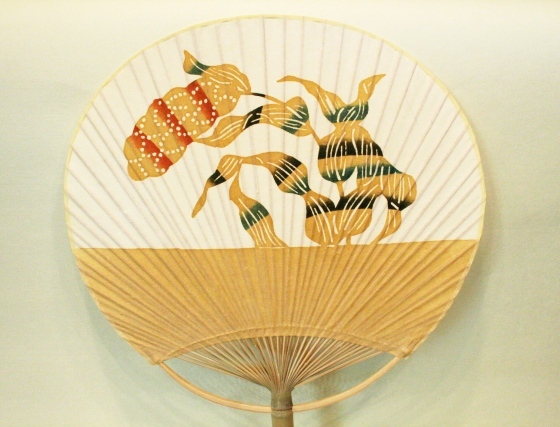 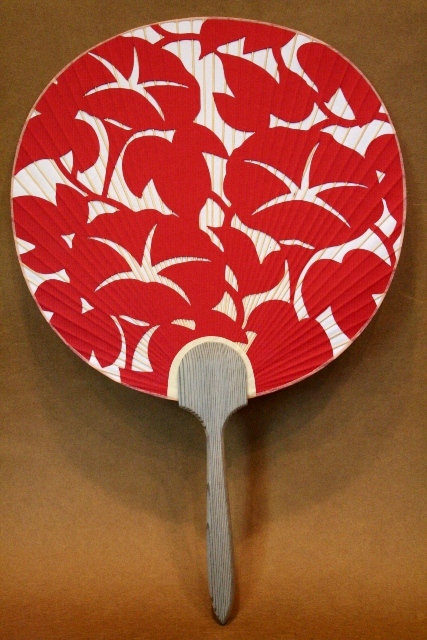 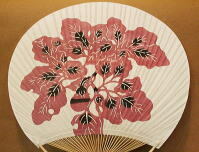 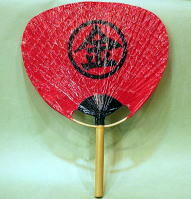 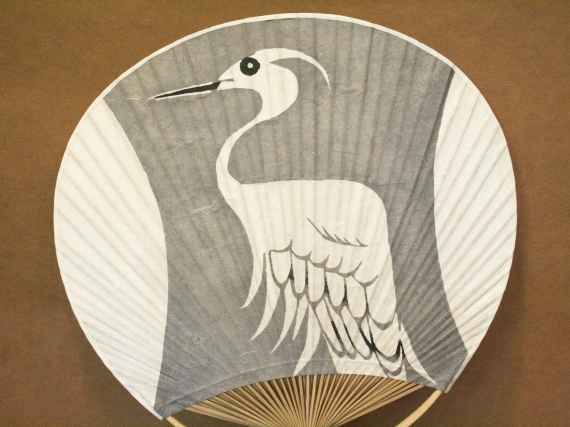 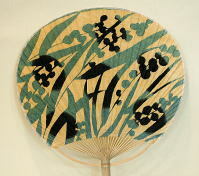 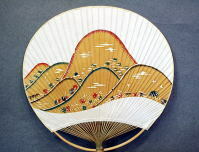 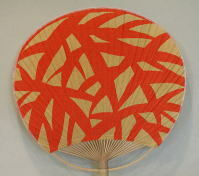 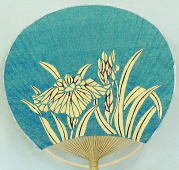 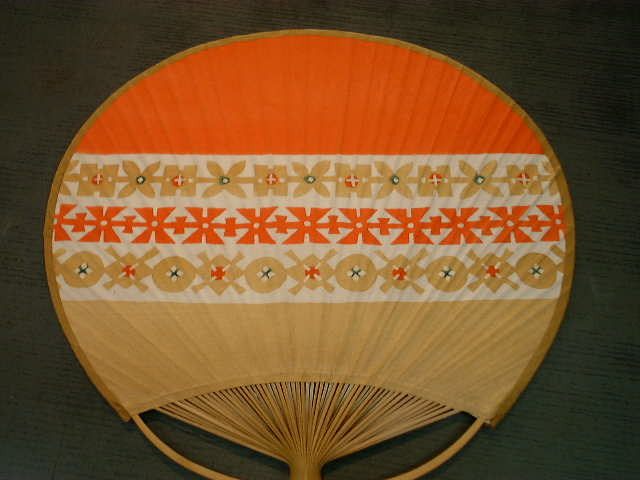 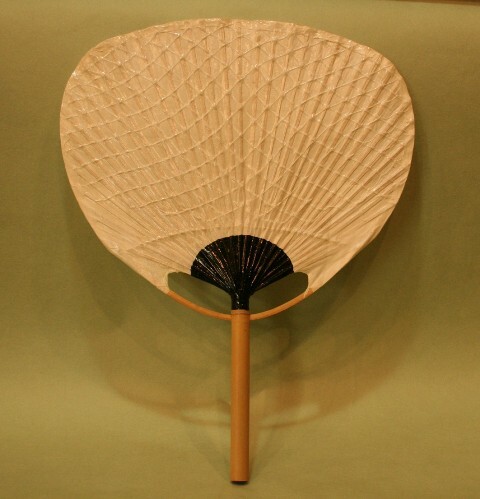 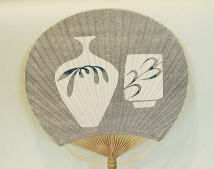 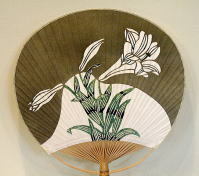 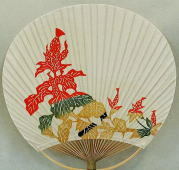 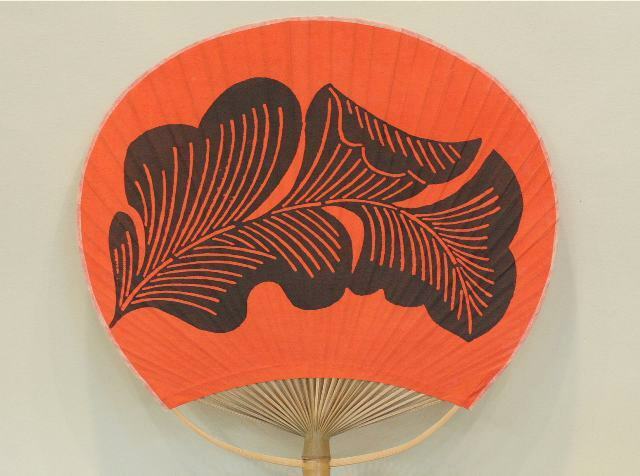 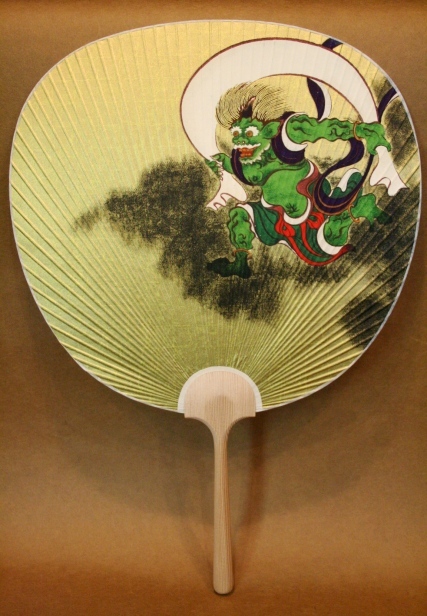 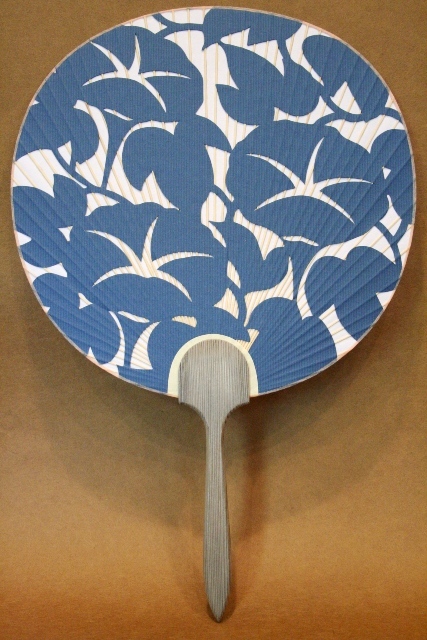 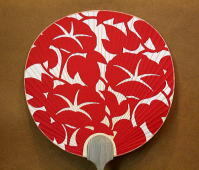 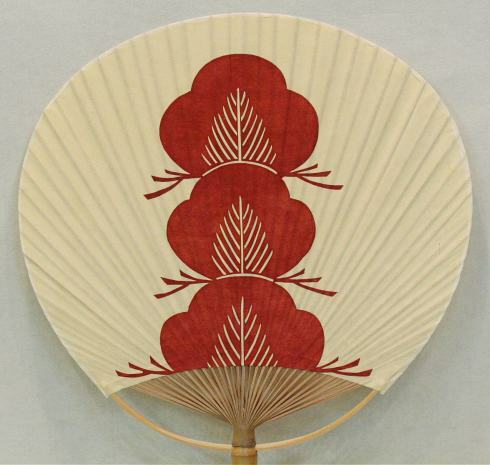 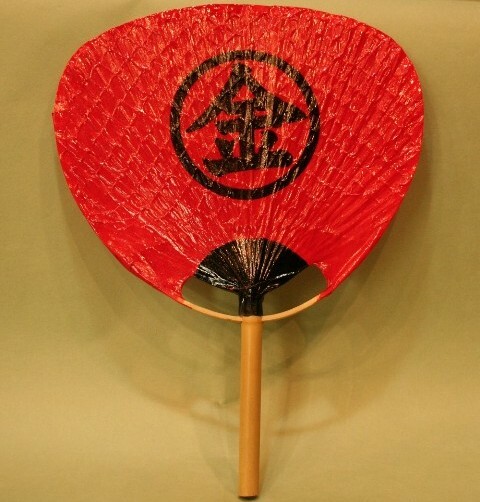 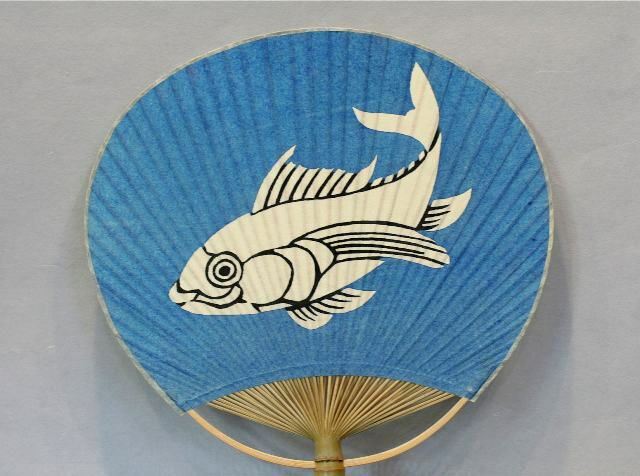 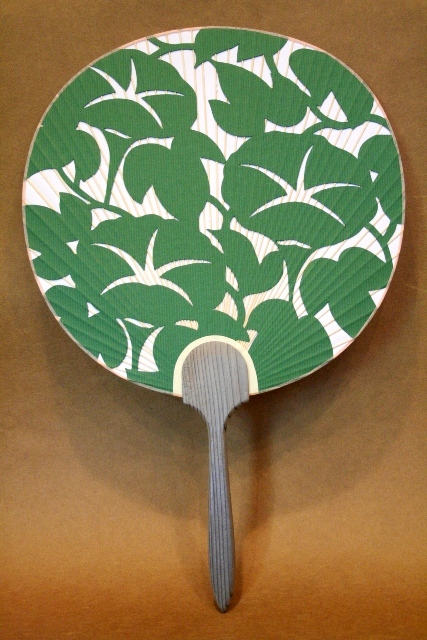 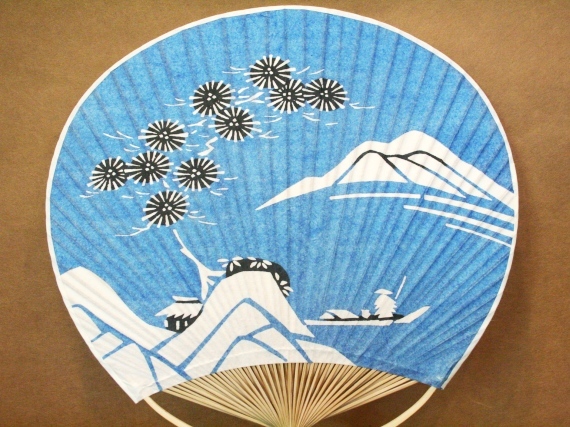 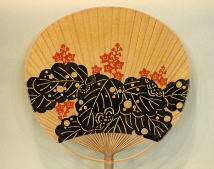 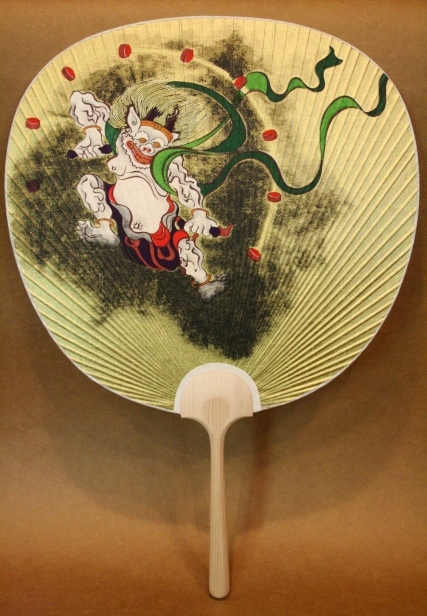 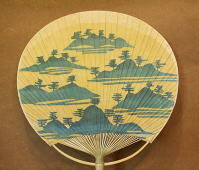 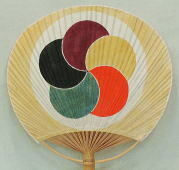 These fans were made at the Serizawa Institute about 35 years ago when he was still active in his work. 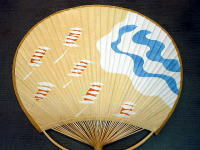 We got a lot of these pictures for fan from him directly. 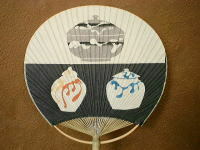 Recently, there are very few mingei shops that deal with his fans. 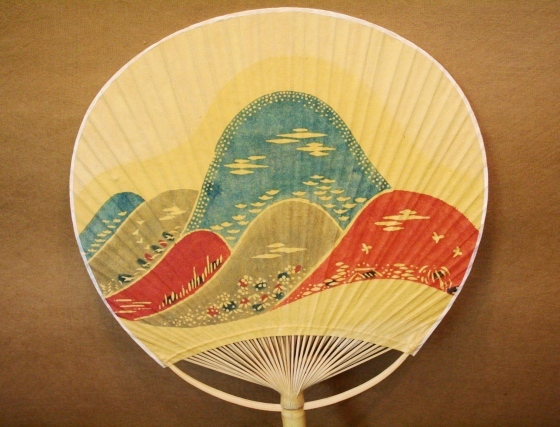 Every fan will make you understand and enjoy his world of beauty. 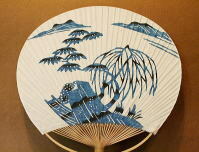 These fans are very rare and will be getting extinct soon. 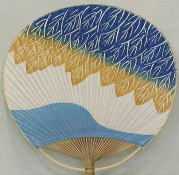 Motoguro fan is very durable. 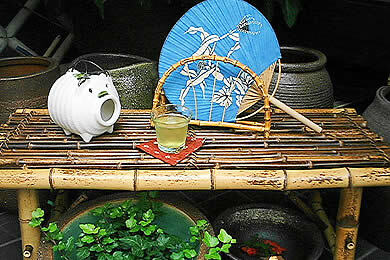 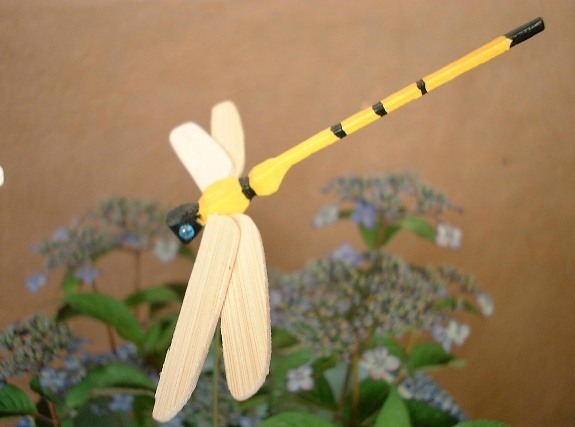 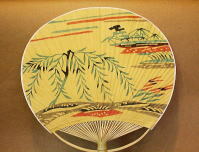 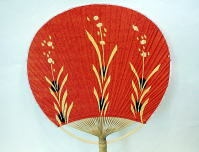 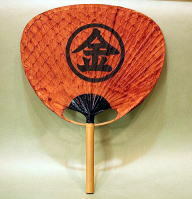 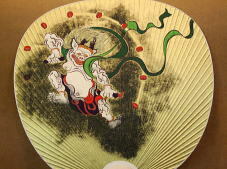 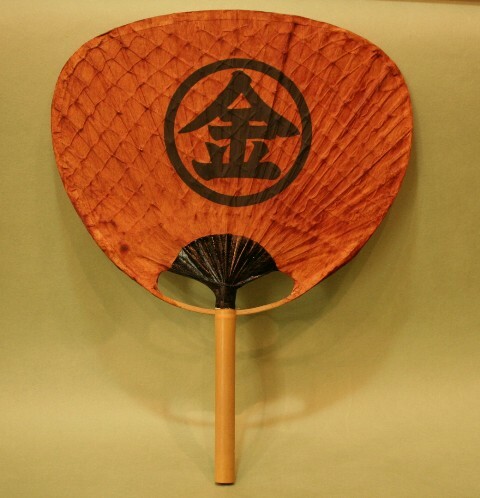 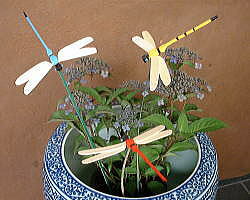 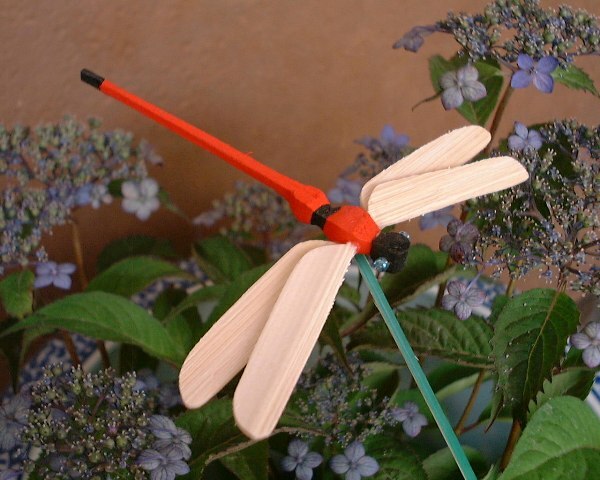 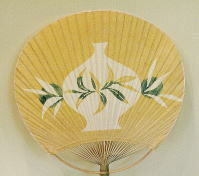 The bamboo stems are tied with strong cotton strings and the fan is varnished for waterproof. Here's a funny old story. 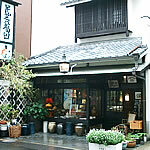 This area has had a water shortage from ancient time. 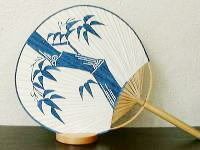 A peasant used for stopping a creek's flow to draw water into his rice field when no one was not around him. 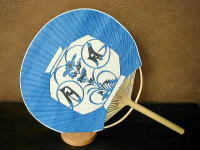 If someone came, he pulled it out from water. 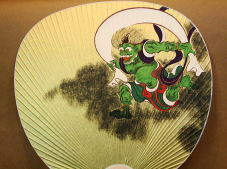 Then he said " How are you doing? 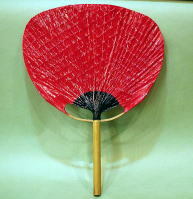 It's very hot"while he was fanning with it. 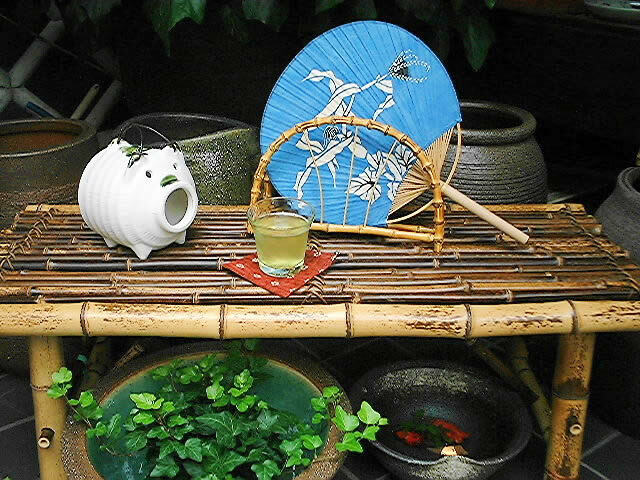 And he stuck it into water again when someone gone.